Attorney and Davis Law Group, P.S. 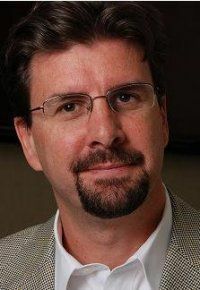 founder Christopher M. Davis has been recognized as one of the Top 100 Trial Attorneys for Washington State by The American Academy of Trial Attorneys. The American Academy of Trial Attorneys (AATA) has a mission to promote and support the work of trial attorneys in each and every state in the U.S. as they work to ensure their clients’ justice. Through our invitation only organization, we provide trail attorneys with valuable resources allowing them to represent their clients on a premier level. We do this by providing exclusive benefits and access to nationwide network of premier attorneys. It is an invitation-only, national organization of premier attorneys actively practicing law. Formed and managed by a board of trial attorneys, AATA focuses not only on offering distinction and recognition for top attorneys who provide excellent service, but also benefits and support for those attorneys to continue to deliver. AATA membership is comprised of attorneys with only exceptional legal credentials and a dedication to premier representation of their clients. Each attorney is held to the highest professional standards of ethics. The attorneys selected as Premier 100 Trial Attorneys by the American Academy of Trial Attorneys have been recognized by the bench and bar as leading Trial Attorneys in the United States. 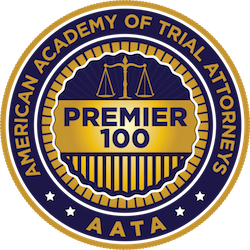 Members of the Premier 100 Trial Attorneys have satisfied stringent criteria and standards as established by the AATA Board of Directors. Of the 1.2 million attorneys currently active in the U.S., less than 1% are selected to receive the AATA Premier 100 designation. The purpose of the American Academy of Trial Attorneys (AATA) is to promote through recognition the professionalism and excellence of those Trial Attorneys who have earned the designation as a Premier 100 trial attorney as found by the American Academy of Trial Attorneys. A Premier 100 Trial Attorney has satisfied stringent criteria and standards as established by the AATA*tm Board of Directors. Prospective members are carefully screened before being invited to join. The criteria for membership includes, the attorney's commitment to ethics and professionalism; notable verdicts, achievements or settlements; and any current ratings or ranking profiles as identified by reputable and credible online or local evaluations.